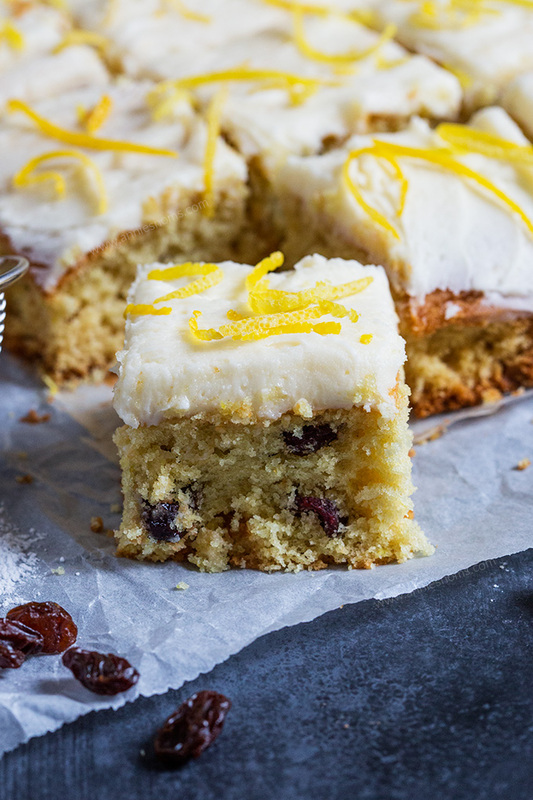 These light and soft Lemon and Cranberry Cake Bars are filled with lemon zest and juicy cranberries. They are simple to make and feed a crowd! Do you ever find yourself completely perplexed by people? Just when you think everything is going well, they go and throw a curve ball and you’re left confused and hurt? I just feel like I’m a magnet for people treating me badly. Sometimes I think maybe I’m being sensitive, but when your husband passes comment when you haven’t mentioned it and then you tell your friends and they think it’s out of order too… you begin to realise it’s not just you. It’s happened in the past too… in fact last year we had strangers to our situation all comment on it. I’m so done. I can’t be bothered to fight anymore. It seems to not matter your loyalty to a person, or how good a relationship you think you have… you’ll be left disappointed and questioning everything. Anyway, have you ever made cake bars before? I feel like I haven’t… and I don’t know why because they’re really quick and simple to make and are great for feeding a crowd! You can get 20 cake bars from this recipe and it only takes 25 minutes to bake! 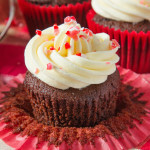 The frosting is simple too as you spread it over the top, so no piping nozzles required! I’m so ready for all things lemon and for the days to get longer and brighter. 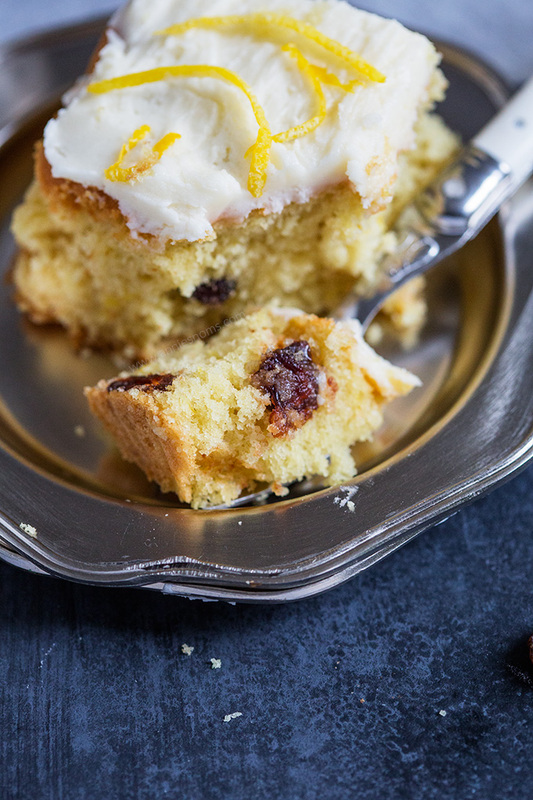 This cake has plenty of lemon zest and it adds the most beautiful delicate lemon flavour. This is one of the softest cakes I’ve ever had the pleasure of eating! 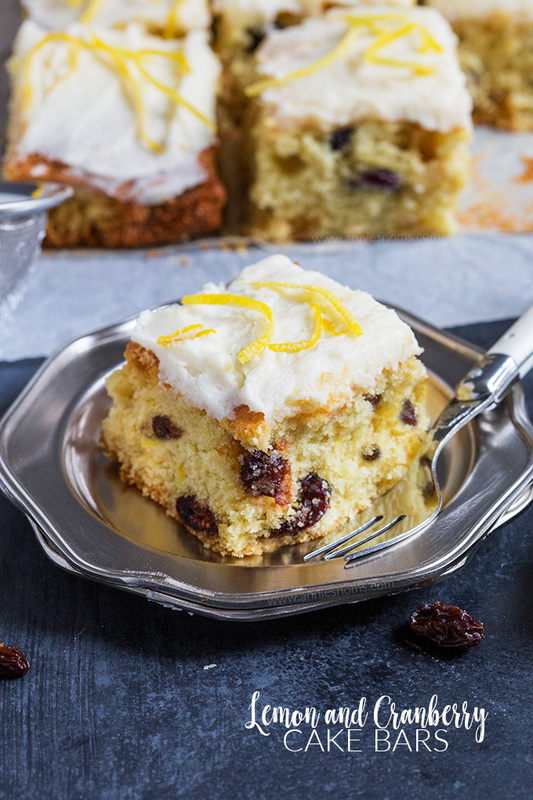 You could easily just make this a lemon cake, but I decided to add in some dried cranberries. I just love how dried raisins, sultanas and cranberries go when you bake or soak them; they plump up and become juicy bursts of flavour. Pure bliss! These cake bars are the perfect thing to enjoy with a cup of tea or coffee of an afternoon. It’s also a versatile recipe, once you have the base cake recipe, you can add any fruit zest, or no zest…. chocolate chips, chunks of chocolate, chunks of fruit, raisins… the options are endless! It’s the perfect easy cake to make when you’re in a pinch and need a delicious, homemade dessert! Preheat the oven to 180C/350F and spray a 9×13 inch pan with cooking spray. Place a wide strip of grease proof paper into the pan with enough overhang over the sides to pick the cake up. Place the sugar, butter and lemon zest into a large bowl, or the bowl of your stand mixer, and beat until light and fluffy; 2 minutes on medium-high speed. Add in the eggs, scraping down the sides as necessary, and mix on medium speed until well combined and smooth. Place the flour, baking powder, bicarbonate of soda, salt and cranberries into a medium sized bowl and stir until all the cranberries are coated in flour. 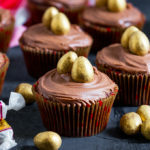 Tip the flour mixture into your egg mixture and mix on low until the mixture starts to come together, then add in the milk and continue to mix on medium speed until everything is well combined and smooth. Tip the batter into your prepared pan and smooth into an even layer with a spatula/wooden spoon. Place in the oven for 22-27 minutes (mine took 25 exactly) until risen, golden and an inserted skewer into the centre comes out clean. 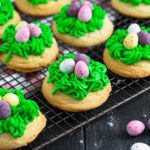 Leave to cool completely before making the frosting: Place the icing sugar and butter into a large bowl and beat on low speed with a hand mixer until all the sugar is mixed with the butter. You may have lumps of butter at this stage, add in the lemon juice 1tsp at a time, mixing after each addition until the frosting comes together, then add the milk if required. Turn the speed up to high and beat for a good 3 minutes, the frosting will pale in colour and get light and fluffy. You want a thick frosting which you can spread, but it should hold its shape. 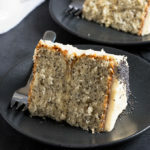 Lift the cake out of the pan and transfer to a cutting board: spoon the frosting into the centre of the cake and then use a small angled spatula to spread the frosting over the top of the cake. Sprinkle with lemon zest if you want to and then slice into 16-20 cake bars. 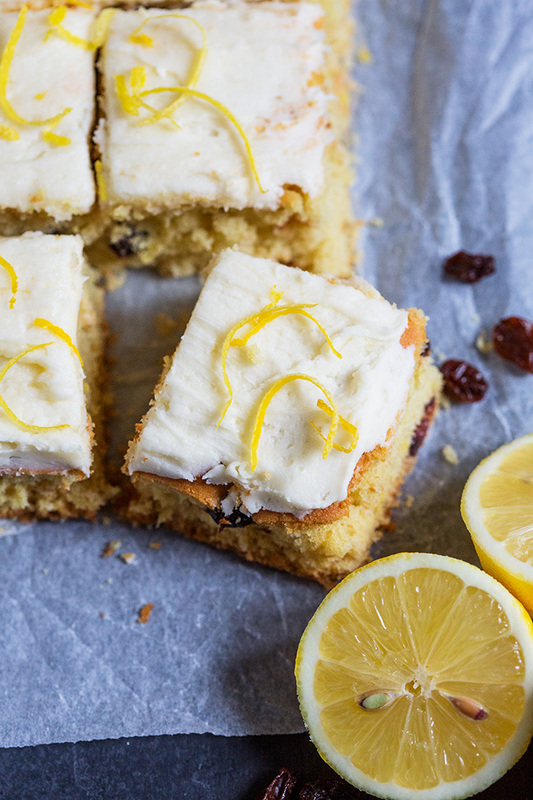 Lemon and Cranberry Cake Bars will keep in an airtight container, in the fridge for 4 days. Best served at room temperature. 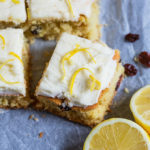 These lemon and cranberry cake bars sounds absolutely delicious. It will be a great serve for a tea party! Thanks so much, yes they’d be perfect for a tea party!! I am always surprised by people too and how they act…. anyways, these lemon cake bars sound incredible. I am a huge fan of anything lemon and these sound like perfection. I’m obsessed with lemon too, if I could I’d make only lemon desserts for the rest of my life hahaha! I made these bars last weekend for my husband and he was in heaven! He raved about them to everyone he talked saying it was 5 star restaurant fare. I did it EXACTLY as the recipe said. 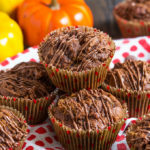 It is definitely our new favorite recipe! So glad you enjoyed them! My husband could not stop eating it either and kept raving about them; I ate too many slices too haha; so simple but so tasty! Those look and sound delicious. I love dried cranberries in anything! 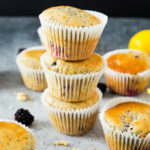 Same here, I don’t know why I don’t bake with dried cranberries more often; they add such a great burst of flavour! I’m so gald you added the cranberries to this. Not only adds a pop of flavor but so goregous too! They look amazing! 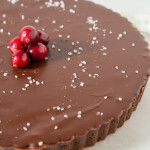 Thanks so much, the cranberries were such a great addition; I need to bake with them more!